Sign me up for WD E-Newsletter, a monthly email packed with inspiring entrepreneur stories and updates. Your privacy is assured. What is wealth, and why is it that the more money we have, the more opportunities we have to lose it? In this first PowerPack, we take you through the first two chapters of Your Life, Your Legacy. Success leaves footprints, and we are surrounded by sign-posts to wealth we need to recognize and follow. By the end of this coming month, you will have experienced how to look at the world with new eyes, spotting how to find and follow those in flow. 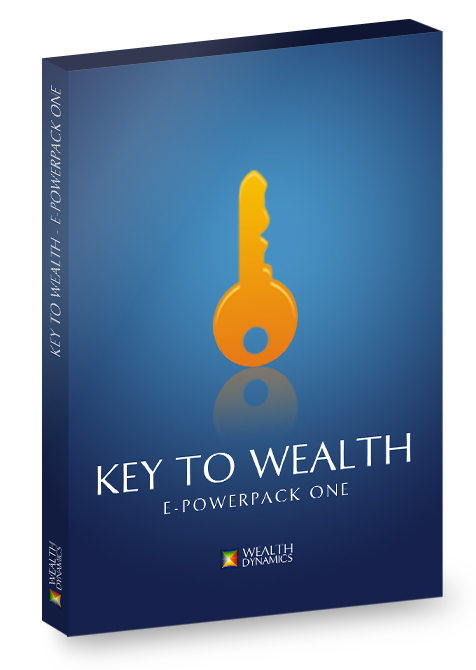 Click the button below to add the ePowerPack #1 - Key To Wealth to your wish list. © Wealth Dynamics 2010. All prices are in USD.